There are queer entrepreneurs and they would like to reach more people like them, using LGBT Facebook ads. It’s harder to do that with Facebook’s new rules about discrimination, but when you’re looking for your queer brothers and sisters to support your business, it’s important. Facebook remains a leading social media platform for queer people and Facebook ads remain an important tool for marketing to the LGBT community. Our friend, Monica, has a great course you can take to learn more about Facebook ads. You can hear us interview her on Queer Money™ here, where you’ll learn more dos and don’ts about LGBT Facebook ads. Monica offers our readers an exclusive discount of $50 off her course by using the discount code DFG50. Go here to get Monica’s free guide that walks you through the five questions to ask yourself before spending money on LGBT Facebook ads. Here are the five steps for creating LGBT Facebook LGBT ads. Facebook Ads Manager lets business owners and bloggers market to particular audiences, ideally those people who would get value from the content, product or services you create. If queer people are a target market of yours, you’ll first need to reach us. The most efficient way of doing this today is by creating valuable content, likely a blog post or article on your business’s website, and then sharing it on social media. But, “social media” can feel like a big ocean and when you’re a little fisherman. Think of this valuable content as your fishing net to cast far and wide. With your content, you want to let readers know that your business or blog exists to help them. Give them something that will help them address a pain point or need in their lives. While your target market may be the queer community, not every queer person is your customer. So . . . to reach your audience, queer or otherwise, use Facebook Ads Manager. A vital first step is to install the Facebook Pixel, a small piece of code, on your site. This lets Facebook know when someone visits your site. Monica explains in her course how to do this and how it works. It’s quite possible this is what brought you here today. Second, Facebook Ads Manager Detailed Targeting Tool has filters to let you market to people with certain interests, such as ‘LGBT,’ ‘Pride’ or ‘homosexuality.’ You can filter for people who are interested in other LGBT-themed businesses or LGBT-friendly businesses, such The Advocate or Volkswagen. It’s likely that if your ad has an LGBT theme to it, you’ll attract those in our community you want to serve. When someone visits your site for the first time, they’re considered a cold audience. The more often they visit the warmer they get, moving from cold to cool to warm, which is what you want. How do you reach a larger cold audience that may be like those who’ve already visited your site? Create a look-a-like audience. A “Look-A-Like” audience is a group of people with the same characteristics and virtual behaviors as your original audience. Within the Facebook Ads Manager, you can create these look-a-like audiences because Facebook knows some of the characteristics of people who have visited your site and matches these characteristics with others who may be similar. For example, other people who have liked The Advocate’s Facebook page. When you create this look-a-like audience and present an LGBT Facebook ad to them, you’ll find that more of them are likely to engage with your ad, visit your site and want what you offer. This reduces the amount of money it costs for your LGBT Facebook ads because you’re reaching the right audience rather than everyone on Facebook. 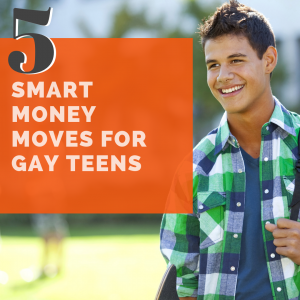 Before you spend any money on your LGBT Facebook ads, you’ll save money by reading this first. The span of attention on social media is short. A lot of people and businesses are competing for Facebook readers’ attention. Therefore, the sooner you let a prospect know your content, blog or business is for them, the better. A great way to do this is to use LGBT-themed Emojis in the copy or the body of your post in your Facebook ad. 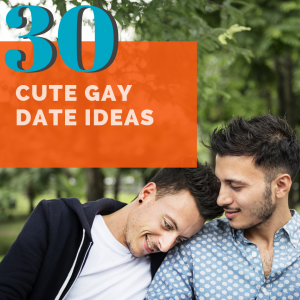 These are visual cues to readers that your content is LGBT-friendly and, if they’re LGBT, they’re more inclined to engage with your content and business. Again, because attention spans are short and social media users decide in seconds whether to engage with a post, the clearer you are about who your content or business serves, the better. That said, there’s a delicate balance with marketing to LGBT people on Facebook, as Facebook shuts down hate speech. So, if there’s any suspicion that you’re using the words “gay” or “queer” derogatorily, your Facebook ad won’t be approved. If your Facebook ad isn’t approved, don’t be disheartened or offended. Either rework your title or resubmit your ad for approval. The next Facebook reviewer might read your original headline in the context in which you intended. Another tip is to focus on your product, service or article rather than referring to a particular audience or group of people and minimize the use of the words ‘you’ and ‘your.’ Facebook hates that! Again, short attention spans and lots of competing information! LGBT-inclusive images are a must. Image platforms such as Adobe Stock and Shutterfly have great LGBT-themed images. These include rainbows, pictures with rainbow hues, lesbian and gay couples, trans people and images of people who could be LGBT. To meet Facebook’s image specifications, use high-resolution images and have minimal to no text. You may feel inclined to add text to your images, but to meet both Facebook and Instagram’s (owned by Facebook) needs, images with text cost more. As a business owner, you’ll want to efficiently spend your money. Before you spend a penny, though, ask yourself these five questions. 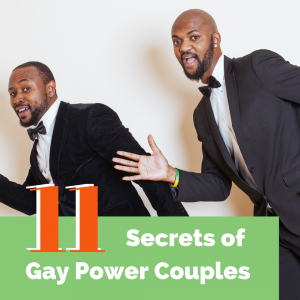 From our experience, these are the five essential tips to market to LGBT people. We want to see more queer business owners and entrepreneurs. As an entrepreneur, you must be prepared to spend money on marketing. However, learn from our mistakes and spend your money more efficiently.